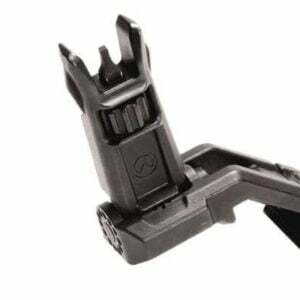 The Aimpoint CompM4s Red Dot Sight incorporates an integral mount that eliminates the need for a separate ring, and can be customized with vertical and forward spacers to fit a variety of weapon systems. 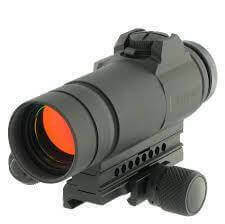 This red dot scope by Aimpoint can also be used by hunters and sport shooters that need night vision compatibility and is available with a regular or low battery compartment. 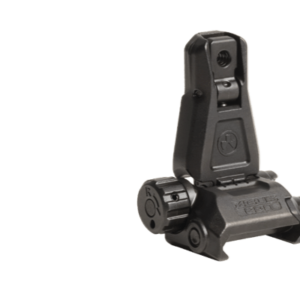 The performance of the AimPoint CompM4s Red Dot Sight is optimized for use with all generations of night vision devices (NVDs), but is especially suited for generation 3 night vision. 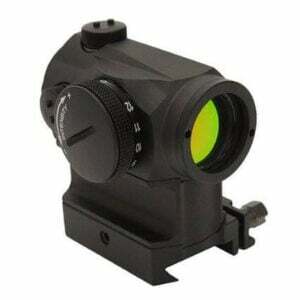 The Aimpoint CompM4S Waterproof Red Dot Sight features a unique band-pass coating on the front lens reflects select frequencies of red light at near 100% efficiency in order to give the highest possible dot brightness with the smallest amount of energy while transmitting nearly 100% of light in the Infrared and near-infrared part of the spectrum to provide the clearest, brightest image possible when used with a 3rd Gen Night Vision. With 7 NVD-compatible brightness settings and 9 Daylight settings including one extra-bright setting, this Aimpoint CompM4/CompM4s Red Dot Sight is ready for use around the clock. Internal voltage regulator allows the CompM4 to be used with any AA size battery. QRP2 mount has twice the clamping force of the original QRP, and the mounting knob is wider and shorter to improve operation, and lessen the chance of becoming snagged on other gear. Mount base is “keyed” into to the body of the sight to absorb recoil. Mount base screws directly into the sight – no separate sight ring is required. 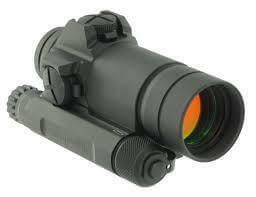 Matches perfectly with Aimpoint 3x Mag, (magnifier module). Front lens opening is threaded for addition of killFlash anti-reflective device. Improved adjustment caps are easier to remove, and are protected against impact. 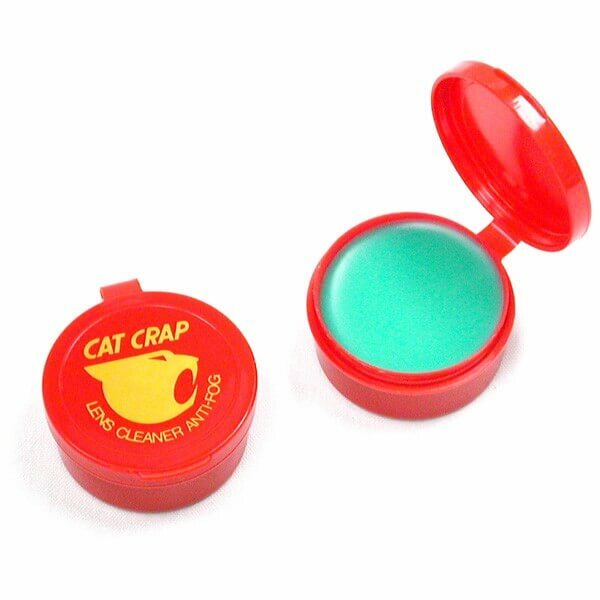 Can be used with a carry handle adaptor for use on all M16 rifles.